Liliana is one of the original planeswalkers that appeared in the Lorwyn expansion. This incarnation of Liliana is particularly horrible as she is overcosted at seven mana. Not only that, her abilities are quite limited. The first ability can pick off Llanowar Elves, Bird of Paradise and Soul Warden. However, at seven mana cost, picking off these early game threats won't matter by the time Liliana shows up on the board. The second ability can be useful if you have cards that have the ability to generate -1/-1 counters or have creatures with infect. If you try to combine ability one and two, that would be way too slow. The third ability can be used four turns after Liliana comes into the battlefield so it is a perfect game ender. Late in the game, you would have plenty of creatures in your graveyard. 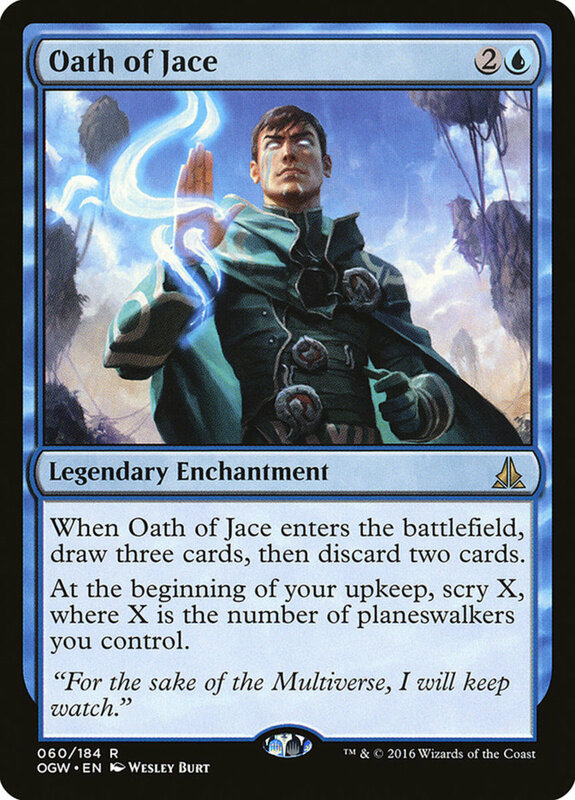 Overall this planeswalker is not worth using as there are several versions of Liliana which are more powerful and efficient. If you want to use this version of Sarkhan you indeed must be mad. At first glance, the cost seems reasonable as it is five mana for seven loyalty. 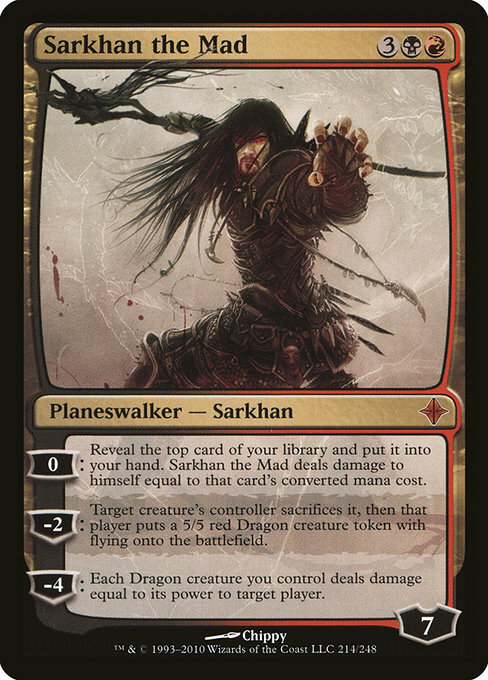 The issue lies in that there is no way for you to replenish Sarkhan's loyalty counters organically. The first ability is a pretty nifty draw engine. However, Sarkhan gets punished if the casting cost of what you drew is high. Imagine drawing a 7 cost spell. Sarkhan will kick the bucket immediately. This ability is basically only useful for drawing lands or drawing low-cost spells. The second ability turns any creature into a dragon. This is useful if you do it on your creatures. If you do it to your opponent's creatures, you will end up with a large dragon army against you. The third ability can be used as a finishing blow. However, you need to have a few dragons in play. If you have no dragons, this does nothing. 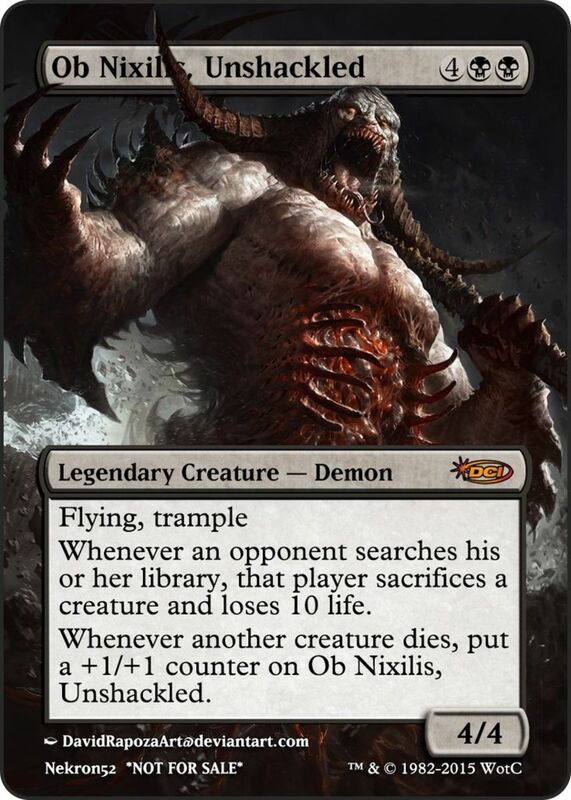 Sarkhan may be popular because of his affinity for dragons, but there are several more incarnations of Sarkhan that are more powerful and are easier to cast than this abomination. 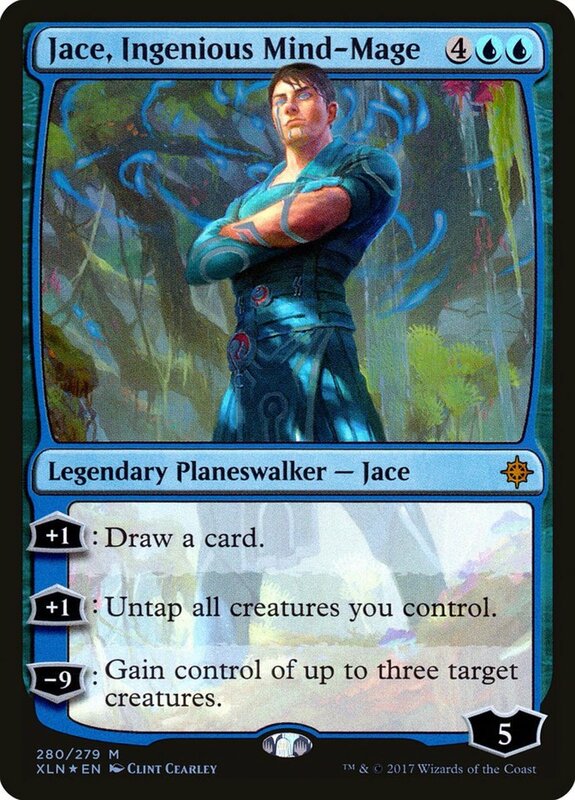 The best planeswalkers cost three or four mana. Sure there are many good ones for five, but you have to be exceptional if you cost that much. 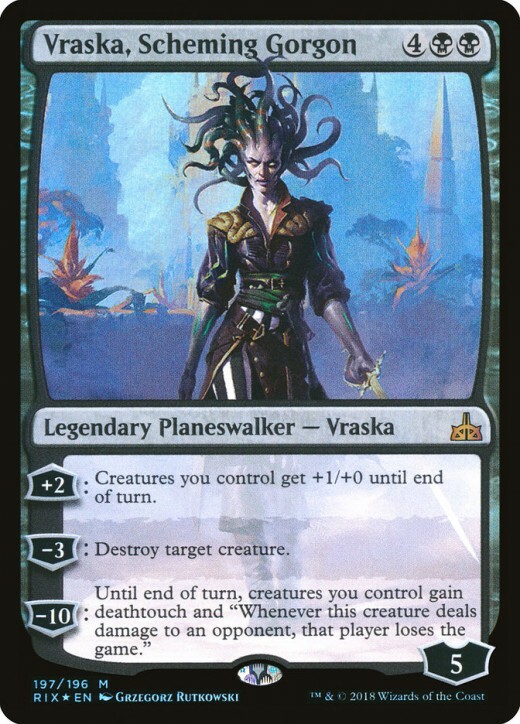 Enter Vraska, Scheming Gorgon. Not only does this cost six mana but its abilities are mediocre. The first ability boosts the power of all your creatures by 1. This is quite nifty but lacks the element of surprise so this is not a very useful combat trick. The second ability destroys a creature. 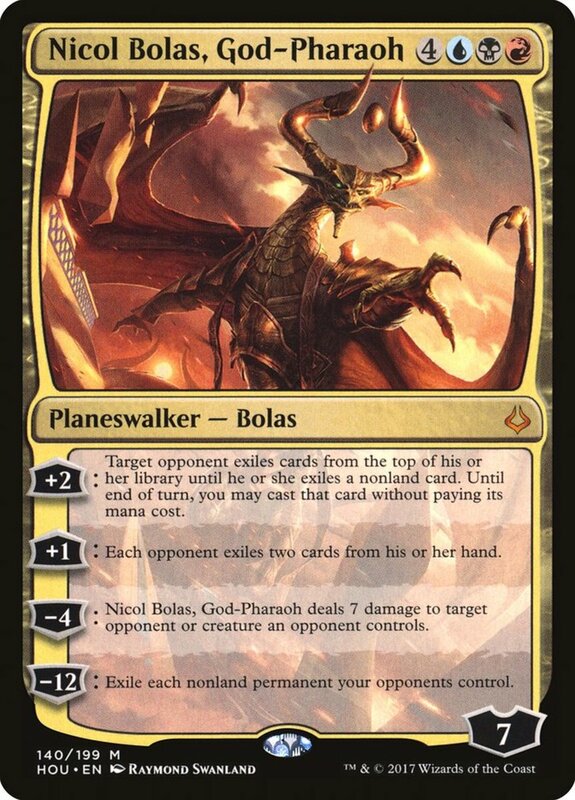 This is good since this protects Vraska from attacks. 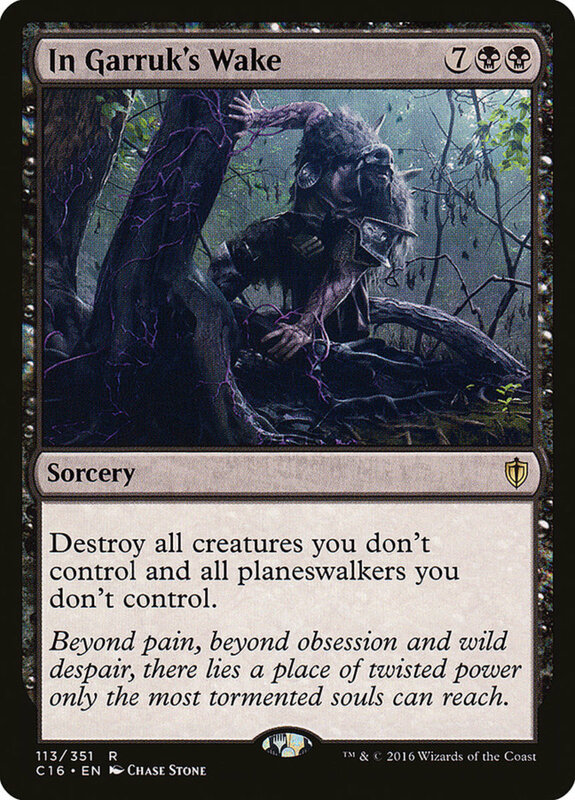 Other versions of Vraska, however, can also destroy artifacts, enchantments and other planeswalkers. The third ability gives your creatures deathtouch and kills your opponent if any lethal damage punctures through his defenses. This is a decent ability but takes way too long to setup. 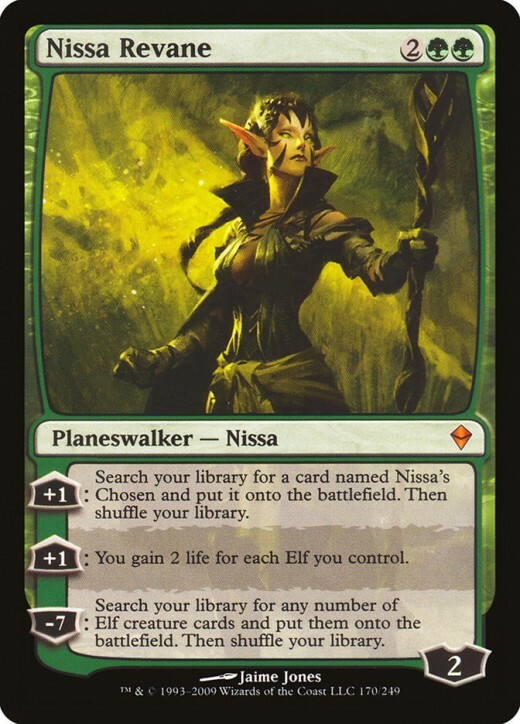 Nissa is one very limited planeswalker. If you are not playing with elves this is a dead card. The first ability is useful if you have Nissa's Chosen. It summons it from your library. If your opponent manages to exile these cards then the first ability does nothing. The second ability is quite useful as if you have a multitude of elves, you can keep gaining insane amounts of life to negate the opposing attacks or direct damage spells. The third ability unleashes your entire elf army. However, this is hard to get to since Nissa only starts with two loyalty counters. Even if you use your initial two abilities, one well-timed Lightning Bolt or one attack by a creature with at least three power will put Nissa down for the count. 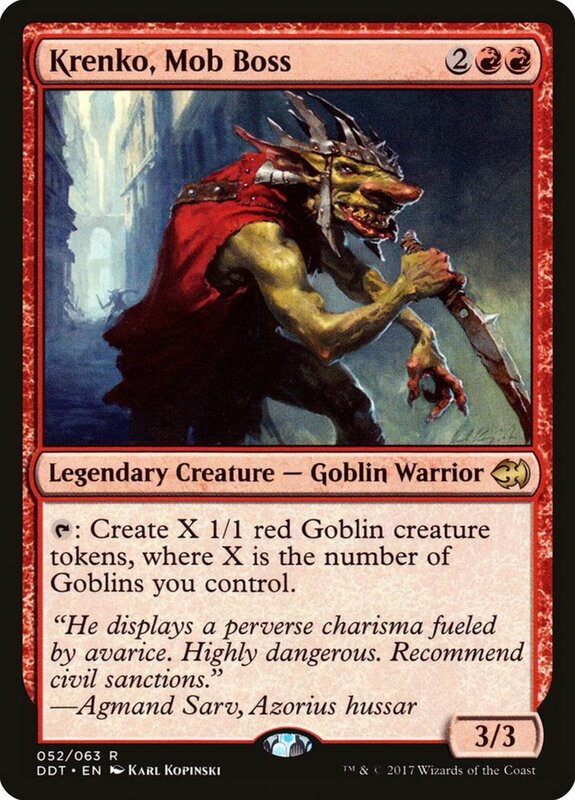 Tibalt had so much potential as a two cost planeswalker could have been a staple in tournament decks if done right. 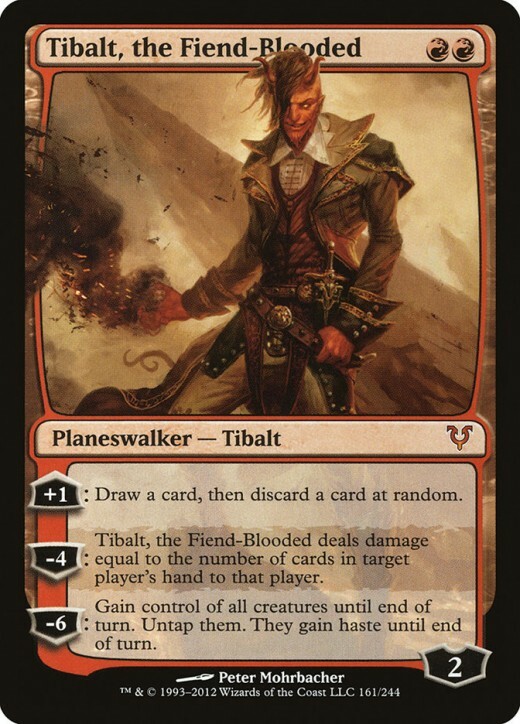 However, Tibalt has become the poster boy for bad planeswalkers. The first ability lets you draw and discard a card. This should have been decent. However, what made it bad is that the discard is random. This has a chance of backfiring on you instead of letting you abuse Madness or discard unneeded cards. The second ability deals damage to an opponent equal to the cards in his hand. It is basically a sorcery speed Sudden Impact. If the opponent only has two or fewer cards in his hand, this is not worth it. The third ability lets you steal all your opponent's creatures and lets you use them against your opponent. While this is a powerful ability, Tibalt will be long dead before you get to use it. It takes five turns to get this off, and Tibalt would not survive the encounter. 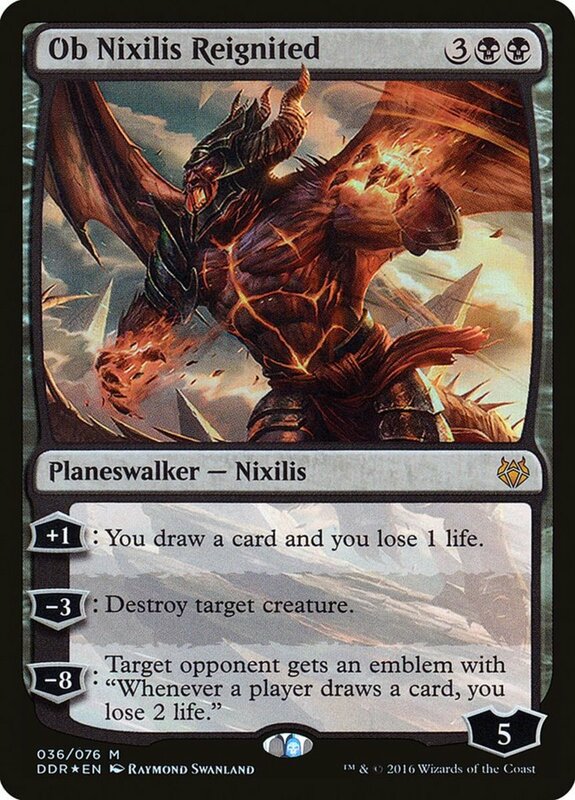 Which is the worst planeswalker?